Mounting your slides for viewing can be time consuming. When I’m working through a roll of uncut film, I’ll preview the images by cross-eye viewing. The detail isn’t great, but this can give me an idea of which images are worth investing the time required for a precision mount. Sometimes, however, I want to see the image in a viewer before making my decision. In these cases, I follow a tip from Paul Talbot. I reach for one of my protective sleeves, slip my cut & reversed film chips in, and drop it into my viewer. The images aren’t precisely aligned, but they are often close enough. This technique also lets me try different mount apertures by holding them in front of the image. Almost on a whim, I decided to look and see what was inside my TL120 camera. And since I was going in, it seemed like a good idea to take pictures and document it for the next person. You can get your camera, a pair of tweezers, a couple of screwdrivers, and follow along! There are a lot of pictures and process takes a lot of space to describe, so it gets its own page. Different people value different features. No single viewer is going to make everyone happy. For those of us who shoot medium format slides, viewing the work of others involves either transporting the images or the people. I look after a couple of traveling folios of MF3D images. They circle through North America a couple times a year bringing immersive stereo images to people’s mailboxes. What good is an image if you can’t view it? How can you view your image if you can’t mount it? There are several mounts from which to choose. How are they simmilar and how do they differ? I’ve gathered some information on the multiple mounts available for medium format stereo slides. Immediately behind the lenses of the 3D World focusing viewer are visible, rectangular apertures. I found them distracting so I thought I would find out if I’d like my viewer more if they were gone. The answer is, “yes”! Details can be found on the Viewer Mod page. Another change a few people haven’t enjoyed is the change in the lens retension system. 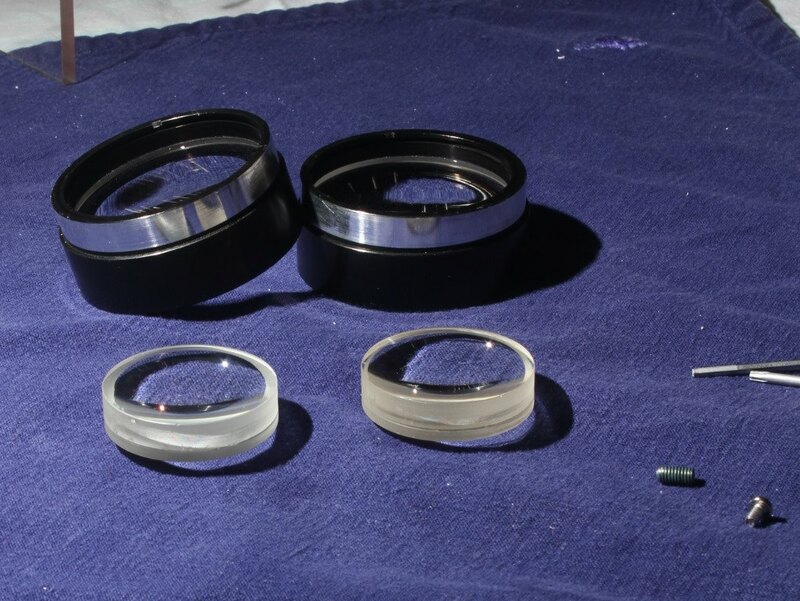 In the original viewers, the lenses were retained with rings which threaded on the front of the lens barrels. 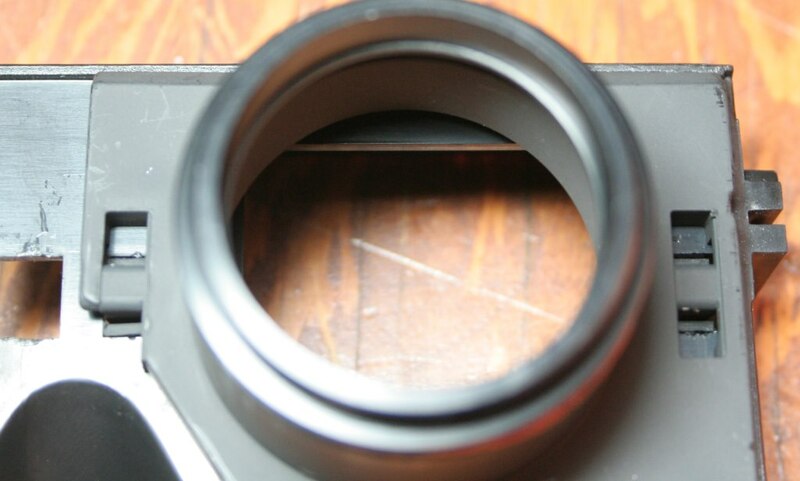 In the new viewer, the lenses are retained with rings threaded behind the lenses (inside the lens barrel). This change doesn’t affect day-to-day use, but it does make it harder to install shorter lenses in place of the stock 75mm achromats. I still say this viewer is a bargain. 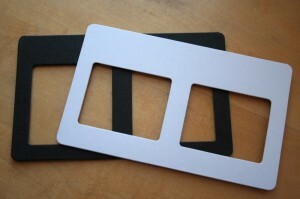 If you shoot medium format slides, you need to have one of these viewers. Digital images just stack up on your hard drive or at flickr. Physical images require physical storage space. I’m still looking for the perfect way to store my medium format stereo slides, but have made some notes covering some things I’ve tried. Special mention is made of Peter Thomson’s 3D Treasures storage boxes. Since first publishing this, I’ve heard from a couple of other photographers who have offered their storage methods for consideration. Dan Vint suggests boxes from Light Impressions for storing slides. The company offers several sizes of boxes. Dan says he’s using the boxes designed for 4×5 images with good results. If these sizes aren’t to your liking, he pointed me at building supplies from Hollanders from which you can build your own. 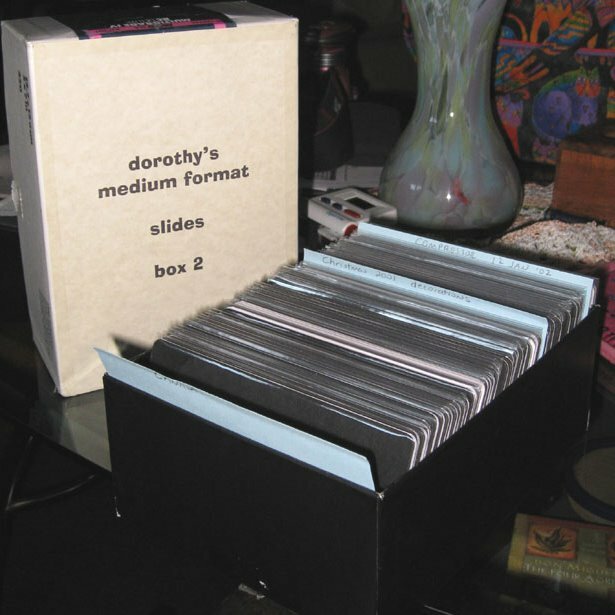 Dorothy Mladenka says she stores her slides in boxes which originally held 250 sheets of 5×7 photo paper. They let her store her slides on edge and appear to be a very good fit. Of course with the decreasing popularity of darkroom printing, these may now be hard to come by in any quantity.